All LISCO pole vault landing systems are manufactured in the USA using 18 oz coated vinyl and two different grades of first quality foam. The back units on all LISCO pole vault landing systems are constructed with a super soft foam on top and a denser foam in the bottom layers. The foam in all LISCO landing systems are glued everywhere foam touches foam, not just on the edges. All LISCO landing systems have drain holes placed every two feet in the bottom of each unit for proper drainage when they get wet. The 2” foam in all LISCO landing cushions is double stitched on the corners to eliminate bunching. Tie downs for both the weather cover and common cushion on all LISCO landing systems are affixed every two feet. All LISCO landing systems come with a five year limited warranty. All LISCO pole vault landing systems meet NFHS track rules committee specifications with larger landing systems meeting NCAA specifications. 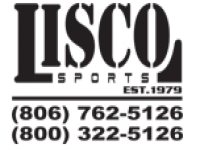 LISCO pole vault landing systems come in a variety of sizes and colors designed to meet your budget and performance needs. Vinyl Weather Cover, 2″ Landing Cushion and Matching Standard Pads Unless Otherwise Noted. All LISCO pole vault landing system conversion kits meet NFHS track rules committee specifications or NCAA specifications. 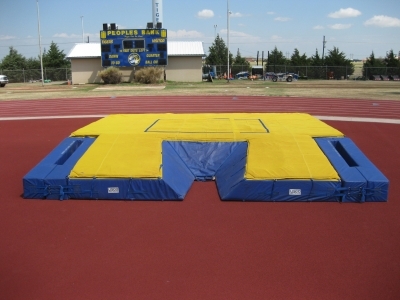 LISCO pole vault conversion kits can match your existing pole vault mats regardless of the original manufacturer.